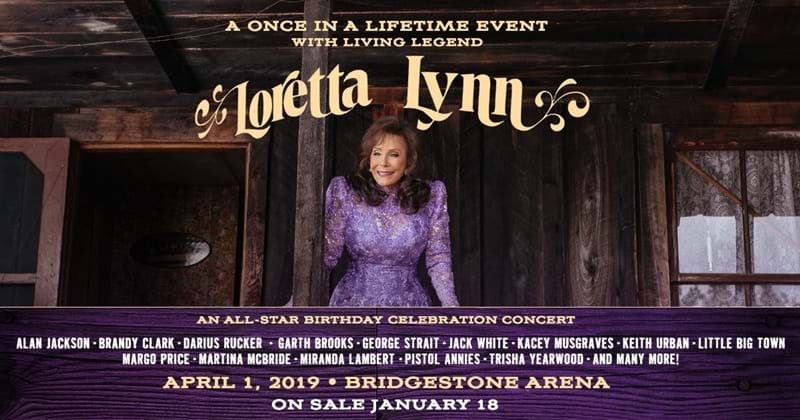 The legendary Loretta Lynn celebrates her 87th birthday April 14. The "Coal Miner's Daughter" will be the honouree of a special birthday tribute concert to celebrate. Urban says he's up for the challenge, responding to Lynn's request on Twitter. "Your wish is always my command Miss Loretta. Keith joins a long list of huge names who will take to the Bridgestone Arena stage on April 1– Garth Brooks, Alan Jackson, Miranda Lambert, Darius Rucker, Trisha Yearwood and Little Big Town are all performing, alongside many more country greats signed up for the show.